Well, Islamophobia is a thing that many Pakistani are already battling with. It includes hating men with beards and women with hijab and simply judging them for what they believe in. So, stereotyping a whole religion over some people’s action is never a sane decision. But thousands of Muslim around the already are facing a lot of backlashes! Like there are many top universities around the world were Hijab is banned and Muslim women who wear it have to deal with a zillion problems! Not just people asking them if they are forced to cover their head but judging them for being “outdated”. Wellllll, hold your horses. It’s the 21st century, girls do hijab and slay like anything! Be it a formal event or a beach party, they can flare their hijab pretty good. 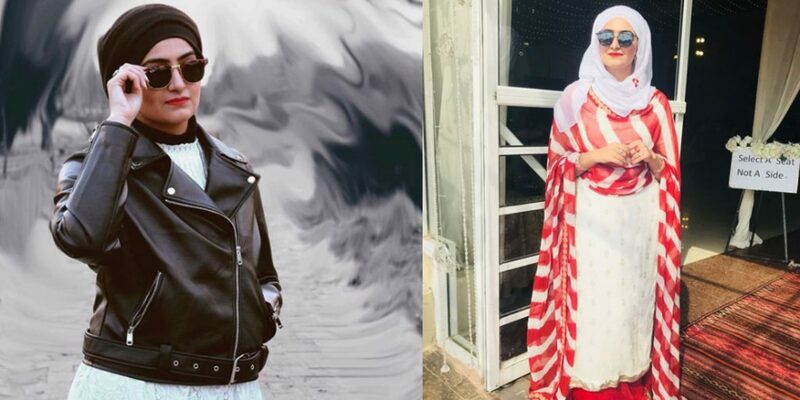 And this Insta blogger named Maryam is giving all the girls some hijab styling. Hum hijabis ko aksar aik masla darpaish rehta hai, jo k hai bhi barha sangeen😱. Or wo masla hai apne hijab or dupattay ki styling formal events pr kaisay ki jaye? 🤔. Ab agr dupattay ka fabric fancy hai, ya uss k borders pr kaam hai, to uss ko style krna kadray asaan hai banisbat un dupatto k jo bht zada kaamdaar or heavy hotay hain!. Cause a girl gotta do what she gotta do! You can do whatevaaa you want to do. You want to do hijab? do it. You want to be on that crazy af beach party and dance like anything? Do it. Cause no one can stop you. You be the unstoppable kind.